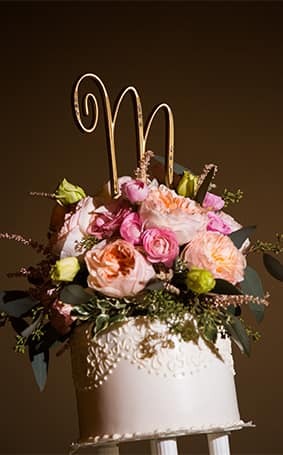 No matter the season, a floral cake topper is always in style. Today's arrangement at Disney's Grand Californian Hotel & Spa added an utterly romantic and whimsical touch to the entire reception. 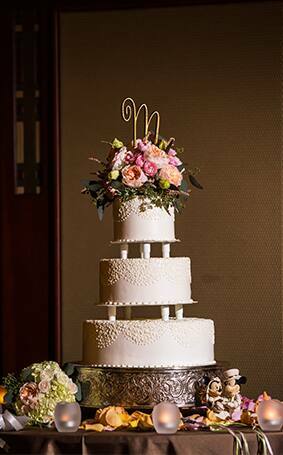 You can't help but smile with joy when you catch a view of a gorgeously sweet confection covered in blooms!